We take great pride in offering all students in our district many different educational opportunities. The counselors and faculty at each school work with each individual student to ensure we are meeting his or her educational needs. 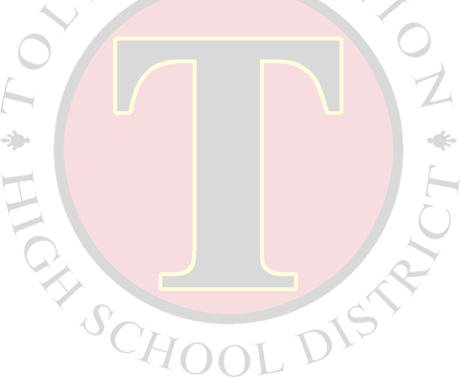 TUHSD is committed to developing the potential of all students, staff, and community. TUHSD Do It With Pride! Our district covers a lot of ground. 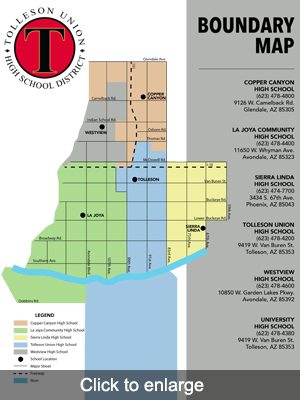 To see if you fall within our district boundaries, view our boundary maps below. Want to know which high school your child will attend? See our list of partner districts. If you ever have any questions regarding boundary issues, please don’t hesitate to contact our district office at (623) 478.4000.